A wide range of products from a single supplier! 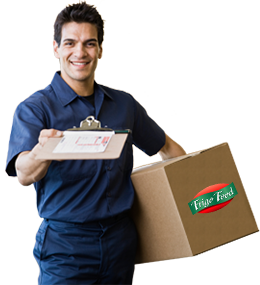 FRIGO FOOD SA has as a primary objective to offer its customers high quality of frozen products. In order to achieve this, the company relies on long-term partnerships and invests in companies that are reliable and offer stable quality. 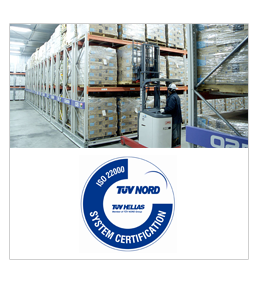 The company itself ensures that its products are constantly under acceptable cooling or freezing temperatures. We try to constantly improve our services through continuous and on time deliveries and investing in product development and innovation so that the words QUALITY, RELIABILITY, CUSTOMER SERVICE continue to accompany us throughout our professional journey. FRIGO FOOD is fully harmonized with the new developments in food safety obtaining the EN ISO 22000: 2005 certificate.